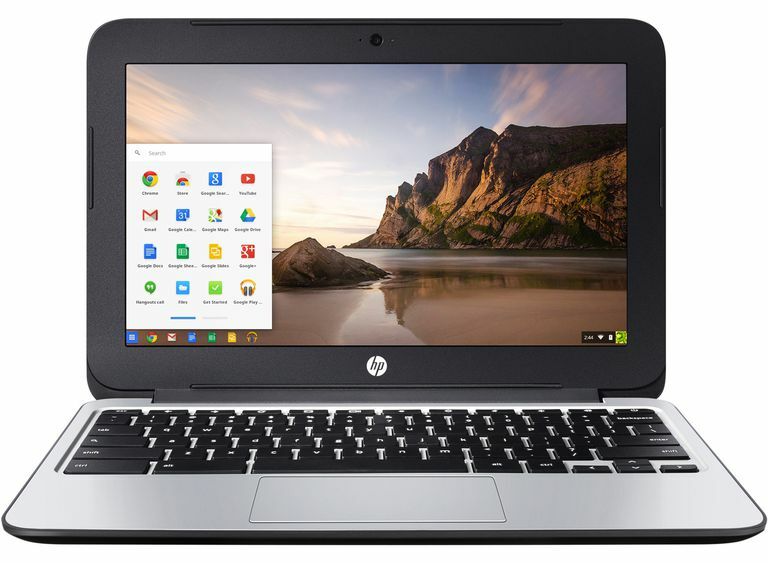 Google Chromebooks have become well known for their easy-to-use interface and affordable costs, providing a lightweight experience for those users who do not require resource-intensive applications. While they do not have much of a footprint in terms of hardware, the look and feel of your Chromebook can be customized to your liking using wallpaper and themes. Here's how to select from a number of pre-installed wallpapers as well as how to utilize your own custom image. The Chrome web store is another great way of obtaining new themes, which essentially gives Google's web browser a brand new look. If your Chrome browser is already open, click on the Chrome menu button, represented by three horizontal lines and located in the upper right-hand corner of your browser window. When the drop-down menu appears, click on ​Settings. Chrome's Settings interface should now be displayed. Locate the Appearance section and select the button labeled Set Wallpaper. Thumbnail images of each of the pre-installed Chromebook wallpaper options should now be visible and will be broken down into the following categories: All, Landscape, Urban, Colors, Nature, and Custom. To apply a new wallpaper to your desktop, simply click on the desired option. You'll notice that the update takes place immediately. If you would like Chrome OS to select a wallpaper at random place a check mark next to the Surprise Me option, located in the bottom right-hand corner of the window. In addition to the dozens of pre-installed options available, you also have the ability to use your own image file as Chromebook wallpaper. To do this, click on the Custom tab (located at the top of the wallpaper selection window). Next, click on the plus symbol ( + ), found among the thumbnail images. Click on the Choose File button and select the desired image file. Once your selection is complete, you can modify its layout by choosing from one of the following options found in the Position drop-down menu: Center, Center Cropped, and Stretch. Whereas wallpapers adorn the background of your Chromebook's desktop, themes modify the look and feel of the Chrome web browser or the control center of Chrome OS. To download and install a new theme, first, return to Chrome's Settings interface. Next, locate the Appearance section and select the button labeled Get themes. The Themes section of the Chrome Web Store should now be visible in a new browser tab, offering hundreds of options from all categories and genres. Once you have found a theme that you like, select it and then click on its accompanying Add To Chrome button. This is located in the upper right-hand corner of the theme's overview window. Once installed, your new theme will be applied to Chrome's interface immediately. To return the browser to its original theme at any time, simply click on the Reset to default theme button (also found in the Appearance section of Chrome's settings).